We’ve all heard the common adage “there is no ‘I’ in team.” This sentiment is continually reinforced throughout our childhood as we are taught to share our toys, to make friends, and be generous. We join team sports and group academic challenges and learn that many hands make light work. As we join the workforce, however, we begin to subtly unlearn these skills. In our hyper-competitive society, we can often forget these early lessons, whether through bad workplace experiences or lack of opportunity to develop professionally. We learn to work independently, forget to ask for help, and hold our cards close. But does this attitude really help our workplaces and careers? Experts say no. According to a Stanford study done in 2017, “social cues that signaled an invitation to work with others fueled intrinsic motivation even when people were working alone.” Many of these participants even experienced lower fatigue throughout the work day and an overall higher success rate in day-to-day tasks. Applications like Slack and Asana are both great workplace tools designed to enhance cross-team communication and accountability. 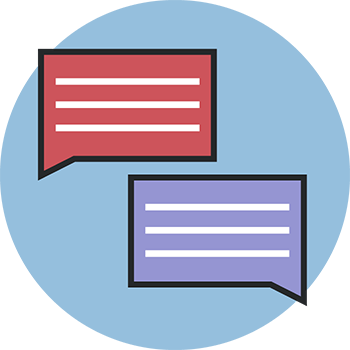 Chat systems like Slack allow for convenient, on-the-go, real-time communication that includes key features like file sharing, scheduling, and our favorite, a giphy addon that lets you send a snappy animated image with your message. Applications like Asana are ideal for productivity and project management by allowing multiple users to create and collaborate on projects, lists of tasks, set deadlines, and evaluate timelines. Remember when we learned that many hands make light work? It’s the same in any office or workplace. It is important to let employees be more than their role and to foster professional development by creating opportunities for cross-team collaboration. Creating situations in which team members from different departments can communicate openly, brainstorm, and problem solve not only helps to create stronger inter-office relationships, it will also create stronger, more well-rounded work. When multiple employees work on the same project and have the same goals, they start to buy in to the success of everyone involved and develop healthy workplace habits. Consider dismantling traditional project hierarchy and create roles of equal importance. Remember, for a machine to operate efficiently, all its parts must be in good working order. When a piece is removed, the machine loses function. Just as every piece of a machine is crucial to its function, so too is each person involved in a project. While the initial thought of white boards may shout “clutter” to some, they offer so much more than an online chat or email ever could. Whiteboards allow face-to-face interaction and help employees to get out of their desks to get active. Gathering around a whiteboard to determine a course of action, a timeline, or to brainstorm also encourages an open floor of innovation, a great community health check for managers and owners, and increased flow of information between teammates and coworkers. Not to hit you with another idiom, but maybe it’s time to get back to the drawing board… literally. 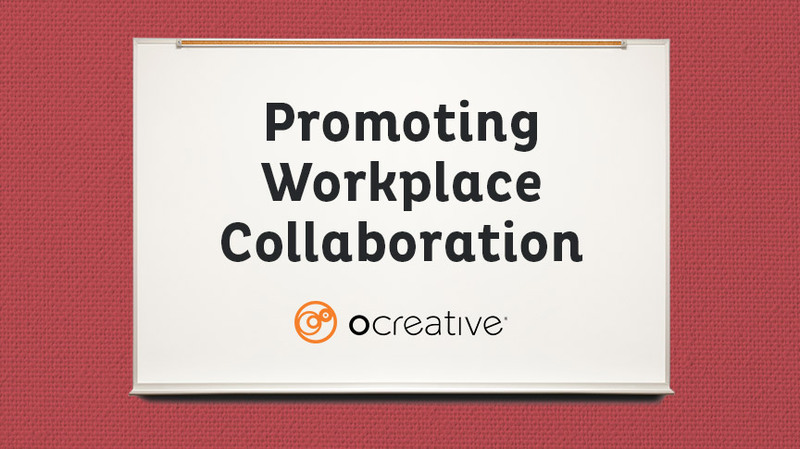 Implementing collaboration can seem overwhelming, but simple additions to your workplace can yield serious results. Consider utilizing online tools to foster digital collaboration on projects or creating open, in-office, omni-department teams to tackle new obstacles. Create spaces in your office like whiteboards or smart boards where employees can gather and visualize together. It’s never too late to start building stronger teams!